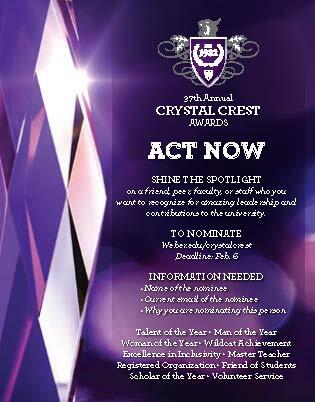 The Crystal Crest Awards are an opportunity for Weber State University students and faculty to shine the light on individuals who have distinguished themselves in various ways. Student Body President Jordan Slater said that the Crystal Crest Awards are one of his favorite events of the year. The ten award categories to which students and faculty are nominated are: Talent of the year, Man of the year, Woman of the year, Wildcat achievement, Excellence in inclusivity, Master teacher, Registered organization, Friend of the students, Scholar of the year and Volunteer service award. In order to qualify for each award, there are certain criteria the nominee has to meet. For example, extra-curricular involvement, personal achievements or leadership qualities. Haille Van Patten, the marketing and social media specialist for the Shepherd Union, handles the publicity of the nominations, including the event itself. Van Patten described the Crystal Crest as the Academy Awards of Weber State University. “There are specific categories to recognize students, faculty, and staff members at WSU. The event itself is similar to a Hollywood awards show, in that there’s a host, a collection of finalists for each award, and we encourage formal attire,” Van Patten said. The full list of nominees for this year’s awards were published online earlier this week, with 10 to 30 nominees in each award category. Individuals who are nominated are required to submit their applications to a committee of co-chairs for reviewing. The co-chairs are a group of 21 people comprised of students and staff. To ensure that the nominee matches the award criteria for which they were nominated, the nominees go through a two week interview process with the committee. The end goal is to select five finalists per nomination category. In March, the five finalists will be invited to an awards reception which is held in their honor. 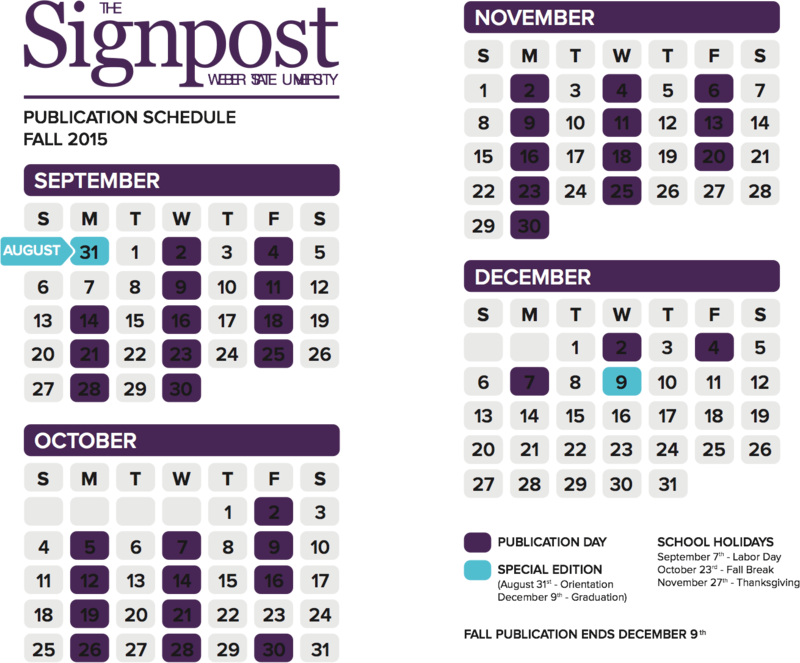 Each of the selected finalists are required to write a 45 second speech in the event they are chosen as a winner.